Perkiomen Performance Inc. has been providing quality automotive repair and maintenance for over 40 years in Bucks and Montgomery County. 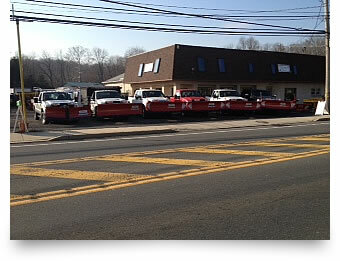 We are the area’s largest source for snow plows, snow plow parts and accessories and salt spreaders. Perkiomen Performance is a family owned business specializing in snow plow repair, automotive repair, 4x4 accessories and automotive/truck air conditioning. We carry a full line of Western Snow Plows, SnowEx Salt Spreaders, Buyers Products, Warn Winches, B & W Hitches, Curt Hitches, Lund Products, Westin Products and Federal Signal Lighting. We can supply you with all your snow removal needs – open 24 hours when it snows. Copyright © 2018 Perkiomen Performance Inc. All Rights Reserved.